When it comes to French black metal, Temple Of Baal is often mentioned as an example of integrity and excellence. Since their formation in 1998, Temple Of Baal have released four full-length albums, diversified with grim black metal atmosphere, death metal intensity which are backed up by strong spiritual aspects expressed through the lyric. Over the years, Temple of Baal is now considered as one of the most respected bands in French Black Metal scene. 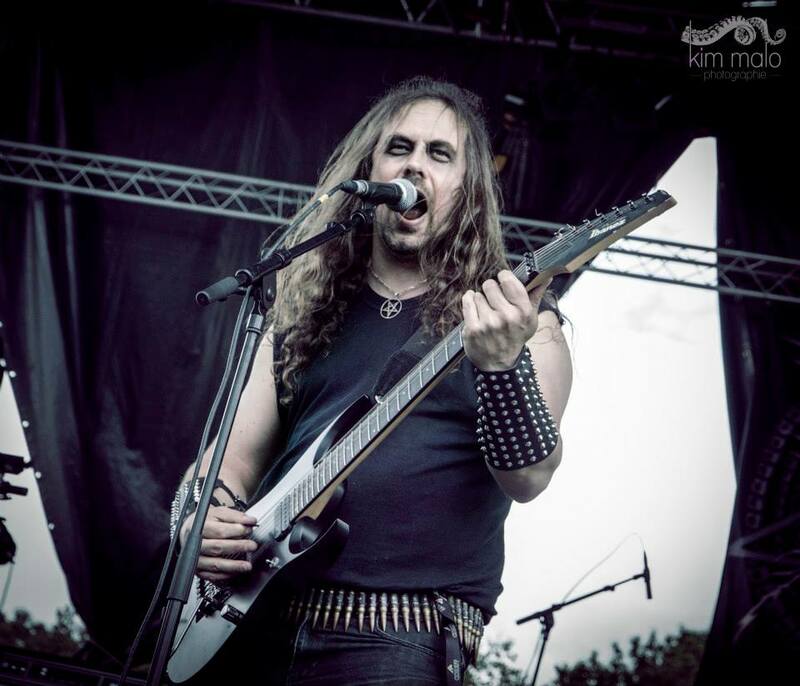 Venustas Diabolicus had an occasion to talk with their iconic frontman, Amduscias. He talks about Temple Of Baal’s upcoming album with possible details, the band’s career, his personal spiritual beliefs and his take on modern age of Black metal. We feel really honored for letting us taking this interview, Amduscias. First of all, how things have been going with you and Temple of Baal recently? I dub 2014 has been very good for the band, with a number of live appearances around the Europe! Amduscias: First, thank you, the honor is mine. And yes, it’s been a fantastic year for Temple Of Baal! Verses Of Fire has had a huge response, and we’ve been able to play at the Hellfest, but also in Germany at the Speyer Grey Mass, and for the first time in Finland… As well as many other fantastic events. And it’s not finished, 2015 is starting the best way with fantastic gigs like Kings Of Black Metal or Summer Breeze in Germany… I really hope to be able to play more and more in as many countries as possible. Too many people have never seen Temple Of Baal live for the moment and we must find ways to spread the Verses Of Fire as far as possible. Temple of Baal is going to hit the studio for the fifth full-length album soon. Have you already started working on the concepts? What can the fans expect from the upcoming release? Temple of Baal‘s last endeavor ‘Verses of Fire’ had shown a deviation from its earlier releases. The band had taken a subtle turn towards slightly polished death/black metal. How was the response from the fans and critics after the change? – Well I wouldn’t really say it’s polished. Of course we have a quality sound, it’s not a Revenge or Conqueror album haha… But the response has been really great. I guess that we our mix of Black and Death Metal pleased many people out there. Before Verses Of Fire, we had already impulsed a change, with Lightslaying Rituals, which was much more Death Metallish. A bit too much maybe. Many people even found it too brutal haha… But on Verses Of Fire, we added a bit more of atmospheres, going back to our original Black Metal roots, mixing them with the Death Metal sound we had, and here it was. The fans and critics have been quite enthusiastic about it, to be honest, and this album opened new gates to us… I’m absolutely proud of it. Temple of Baal‘s earlier releases were pretty straightforward black metal, infusing Les Legion Noire sound with the epic Bathory influences which I noticed on the demos and Servants of the Beast album. In the later albums, you brought a variety of changes, incorporating elements from death, thrash and even some doom metal. The latest one showed more originality in both sound and lyrical concepts. Would you like to explain the evolution of your music to us briefly? – At the beginning of the band, we were very much convinced that we had to be extremely straightforward as you say, because at this time, Black Metal was going in a direction that we detested. Most bands started playing pseudo symphonic stuff, following Dimmu Borgir and their clones, and we really hated that. We were into original, 90’s BM, like Darkthrone, Mayhem, or The Black Legions. (At this time, they used the English moniker, the French name “Les Légions Noires” came way after.) Then the band evolved, simply because we did not only listened to Black Metal. We have influences coming from Death Metal, Thrash Metal, even Heavy or Doom Metal, indeed, and it would be a shame to keep them hidden. I don’t want to limit myself when composing, the only limits I set myself are the limits of the atmospheres I want to create. There will never be a cheerful, “funny”, even grotesque bit of music in Temple Of Baal. 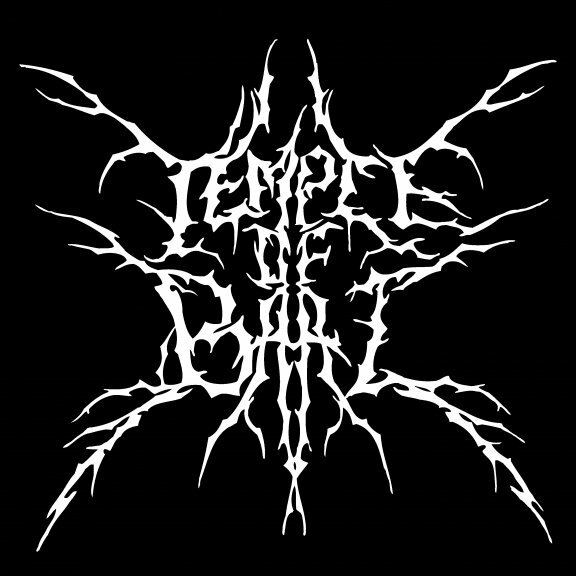 Temple Of Baal is a Black Metal band, it belongs to sinister spheres, there is no way we could do mundane music that evokes everyday life. We are a religious band, our music is the expression of our religious convictions and beliefs, as it has always been the case since I created the band, and as it always should be with any band that dares to call itself Black Metal. Last year, you guys played in Hellfest, Motocultor and some other big festivals. 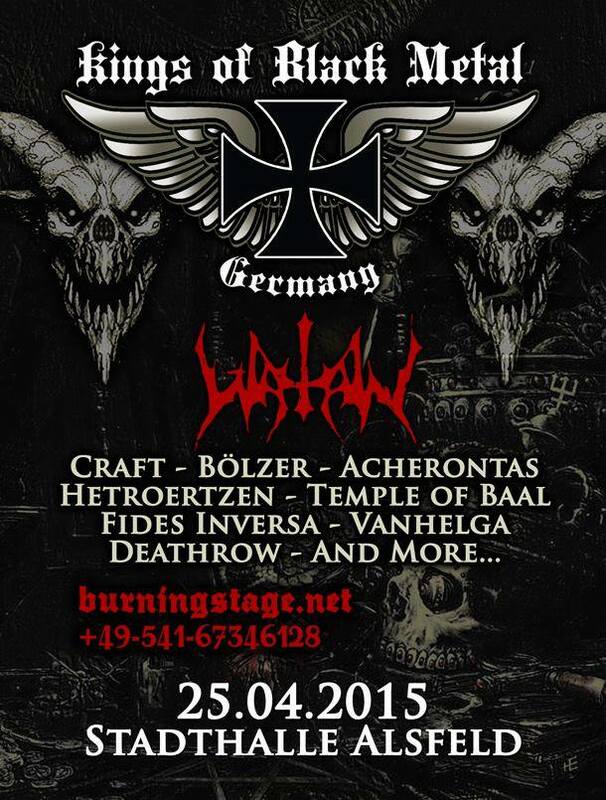 This year, Temple of Baal was confirmed for Kings of Black Metal and Summerbreeze Open Air, so to say a big occasion! How do you personally feel about these achievement? Will it going to be the first major tour for the band? – We have the luck to play on very big festivals, and that’s definitely a strong achievement for us. But it’s not a real tour. Only a few dates here and there. We still have to book a real tour, which is not really easy with our lives, day jobs, etc. We’re thinking about the possibility to organize something with the next album, but if it’s the same, if we’re not able to book a real tour, never mind. A few good shows here and there are already something great. I feel very lucky and privileged to belong to this band. 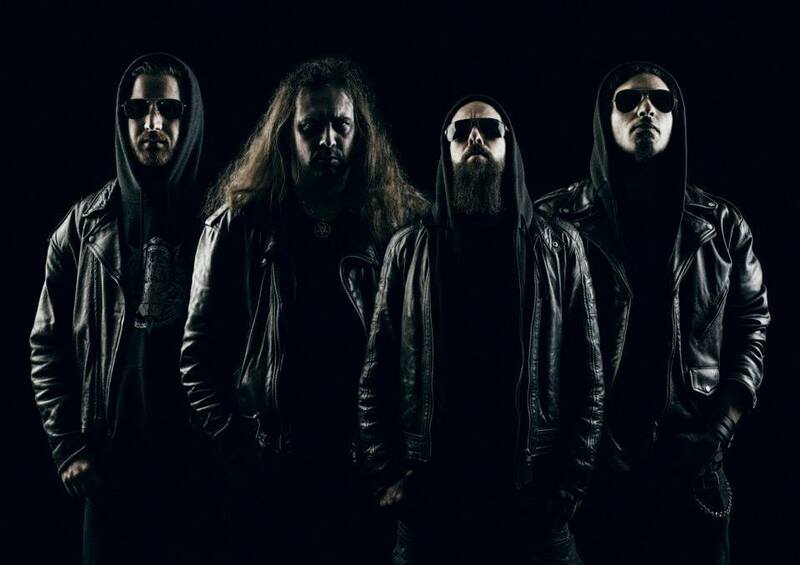 Temple of Baal is currently signed to Agonia Records and have its last two albums released from the label. How did the label facilitate you on promoting the band’s music? Will there be any re-release of the previous records from the label? – Our signing on Agonia Records has definitely been a step forward, yes. Prior to Agonia, we were signed on Adipocere, which was a smaller, more underground label. They had a fantastic history, they are the label who released the first Moonspell album, Celestial Season, Nehemah… But after Traitors To Mankind it was time to move on and we got signed on Agonia Records, which brought the band to a much more international level and got us opportunities to play in the festivals you spoke about in the previous question. We’ve been discussing a lot about re-releasing the first albums. It’s something that we want to do, but we wanna do something very good about it, I’m thinking about remastering the first album (not remixing, even though it would need it, the tapes have been lost). But yes, it’s in the plans. And there will be re-releases of those two first album on tapes, in very limited editions, by the French label Neverdead, this summer. 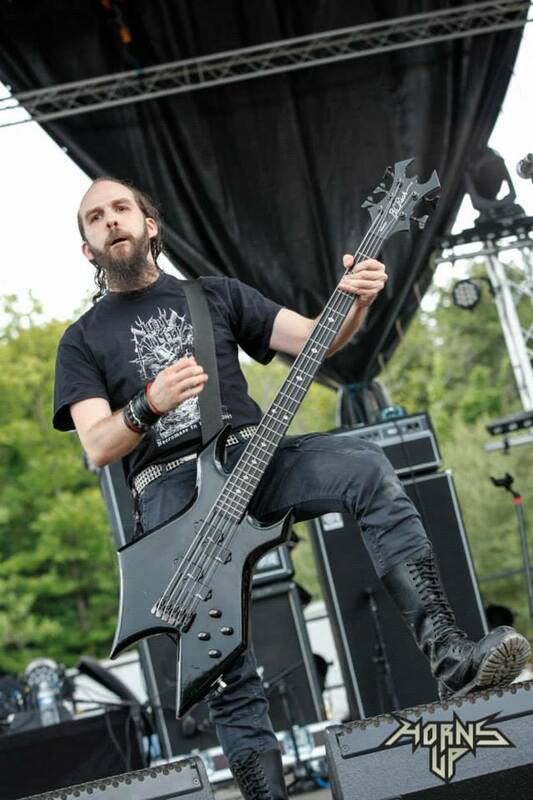 You have been active in the French black metal legion since 1996 with Bran Barr, (Actually I discovered Temple of Baal while checking through Bran Barr lineup). Both the album ‘Les chroniques de Naerg’ and ‘Sidh’ were quite interesting releases to me. You rejoined the band around 2013. Do you have any plans with Bran Barr? – Definitely. We’ve just recruited a new drummer, Dubthach Doel Tenga, because Aed Morban has moved a long way from us and is not able to play on a regular basis with the band. He will stay among us though, writing the stories and concepts on which the lyrics are based. Those last years, I have recorded quite a lot of demos for Bran Barr and I have the basic demos of a whole third album, so yes, we’re going to make a new album ! And hopefully we’ll find a new label for the band, who will be able to work it out professionally. It’s time for Bran Barr to reconquer the throne of Folk Metal, there have been enough useless fake trendy bands polluting this genre! Devathorn’s latest offering ‘Vritra’ has featured you on lead guitar on the track ‘Veritas Universalis’. Can you tell us about the collaboration? Does Temple of Baal have any plans on future tour/gig with Devathorn or Acherontas? – We’re programmed on a few fests together, but for a real tour nothing is planned. It would be great, though. The people of Acherontas and Devathorn are highly dedicated individuals, great musicians, and we do share quite a lot of conceptions on what Black Metal means to us. If we ever end up touring, I really hope that we shall do so with bands with which we share this occult conception of Black Metal. Touring with a band dealing with mundane subjects would be a total non-sense to my eyes. Now, back on the topic again. Baʿal generally refers to the master or the lord of Levant region, what made you selecting this mythical character as your band’s name? What has been your primary vision to express through the music of Temple of Baal? – Baal has several faces and incarnations. I love its ambivalence between positivity and negativity. God of fertility, and at the same time great destructor. A god that manifests through fire and lightning. To whom sacrifices are done, in blood, and through fire. Baal is also a generic name, that means lord, master, and was used in front of divinities names. The priests or Baal are the enemies of the god of the Bible… To the extend that His name has become a synonymous for Satan in some cases. In its whole, the name “Temple Of Baal” suggests cruelty, fanaticism, madness, prayer, devotion. Exactly what Black Metal should suggests. It is totally my conception of the genre, which is both musical and spiritual. You and Arkdaemon have been in the band since its inception in 1998. Do you write most of the music or all the members over these years have contributed in composing? – I write most of the music. Alastor our previous guitar player has written some songs, though, including “Heresy Forever Enthroned” which I find absolutely marvelous. And today, Saroth who entered the Temple when Alastor left, writes music also. He has written two of the songs that will be included in the next album, and we’re working together on a third one. But even if the basics of the tracks are mine or from another musician of the Temple, we always discuss the songs together in the rehearsal place and bring modifications to them collectively. Arkdaemon doesn’t write any riff in Temple Of Baal, but he definitely has great arrangement ideas, and helps me a lot concerning extra-musical aspects of the band, working on graphic designs etc. The titles of all four Temple of Baal albums refer to different aspects; like ‘Servants of Beast’ or ‘Lightslaying Rituals’ may be interpreted as the celebration of evil forces or prevailing Satanism over the right hand ones. Is it actually so? I mean, was it somehow intended to express the bands idea through different ‘chapters’ reflecting each successive albums? – Black Metal to me is a religious music, a spiritual music, and yes indeed, its spirituality lays within the realm of the Left Hand Path. The purpose of Temple Of Baal is to express this devotion, our vision of Luciferian Gnosticism, to grow this divine Flame within and to express it through our music and lyrics. Lyrics evolve as our spirituality evolves. They get more precise and focused as the years pass because our perception of this divine manifestation evolves through the years, it gets deeper and clearer, as our own perception of ourselves follows the same way. The lyrics of our early releases are maybe a bit naïve, when I read lyrics of Black Unholy Presence sometimes, I can see the huge step we have taken since the beginning. But I’m not forsaking them, I’m not denying them, they are the expression of devotion at a young stage, naive and blurry but pure and honest, and I still can relate 100% to the feelings express within. The lyrics I write today are elaborated the same way as they have always been, I let the feelings possess me, listening to the music over and over again, or I sometimes grab a particular feeling I have at a certain point, and I make it grow within me, meditating in silence, and then I take my pen and start writing. Sometimes, the basic text needs lots of corrections, sometimes it’s quite perfect as it is. Sometimes I have to write it all over from the beginning, two or three times. But all in all, it must express religious devotion and prayer in one way or the other. That’s the purpose of our Temple as I said and should be the purpose of every Black Metal band, in my opinion. And to be precise : Temple Of Baal was born in reaction against Black Metal of the second part of the 90’s, that started denying the importance of Satanism and Left Hand Path spirituality in the genre, labeling it as a childish, immature thing, when to me it is the basic of what is Black Metal. There cannot be Black Metal without Left Hand Path spirituality, it is a nonsense, it is an insult, anyone who commits it does wrong, fails to understand, and pollutes the essence of what he pretends to approach. If it is the case, and if those people had respect for Black Metal, (they should, since they claim to feel connected to it), they should not use this label for their music, because by definition, they do not belong to Black Metal. The French black metal scene, from its initiation has shown diversified characteristics: giving birth to some of the most vicious and distinctive black metal bands (in all possible offshoots). You have been experiencing all these since the beginning, can you help telling us what could have influenced for such vulgar development of the French scene? – I think Black Metal was the perfect response for a need of spirituality felt by teenagers of France. We’re living in an era from which all traces of spirituality have been erased and every hint of religion is seen as suspicious, since the church and state have been separated by the law. And I’m not saying it’s a bad thing, of course, it seems like a logical thing to me. But I also think that man can feel the need for some spirituality in his life, and as I felt it myself, I needed something very strong and powerful. Christianity cannot suggest this and it doesn’t connect to the modern world. Most people who go to church today are old people, last testimonies of times that are gone for good. Black Metal, its strong image, the strong deeds perpetuated in its name, the cult aura that was felt around it in the early nineties, everything was perfect. There was this magical feeling you got when listening to the first Darkthrone, Mayhem, Burzum albums. There was this feeling of belonging to a certain circle of initiates, different from regular Metal. One also has to remember that there was no internet. Everything was hard to obtain, from demos, CDs, to fanzines, and occult documents. Today everything is a few clicks away from you, and it has given birth to people who desecrate Black Metal by their very existence. I loathe this scene where every one can pretend to be something they’re not, great occultists, great masters in this or that and of course great connoisseur in Black Metal’s earliest offerings… Yeah sure when everything has been digitalized and put on youtube… Now everyone knows about Bestial Summoning for example, when at those times it was a name that was known, but shrouded in mystery. Same for the Black Legions bands : You knew about some of them, but it could be hard to get your hands on others. And there were all those gossip-books released to explain Black Metal to the masses. And occult literature was put on pdf and made available to the masses. Every regular john, today, can put up a Black Metal band, and if he’s clever enough, pretend to be the next little Euronymous in his little circle, and buzz on the internet, HA this is so pathetic. 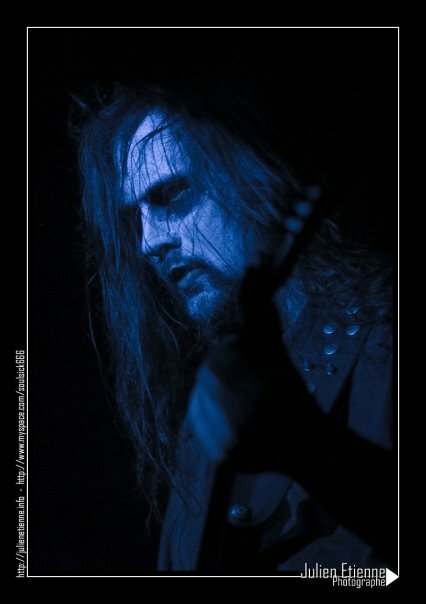 The special feeling that surrounded Black Metal is something I have always cherished. We’re talking about it in our song “Dead Cult”. I’m not saying everything is wrong today of course. We all use social networks and it’s really great, it has made things easier. But a part of the mystery has faded away, and this mystery stimulated the imagination and creativity of musicians who were quite young back then. No wonder why France has given birth to such great Black Metal forces. We are at the end of our interview. We’d really like to thank you and Temple of Baal. Any last messages you want to deliver through us? – Thanks for this interview. If you’re not familiar with Temple Of Baal, I advise you to listen to our last album Verses Of Fire, it’s available on streaming everywhere on the net if you wish to get a foretaste before eventually buying the CD or LP if you wish (remember what listening to music via physical mediums felt like ? Haha… Just kidding.) We shall need to put up gigs after the releasing of our next album at the end of the year, so organizers who read this, get in touch via facebook or templeofbaalbooking@hotmail.fr. Praise the Serpent Lord of Knowledge! AMSG!